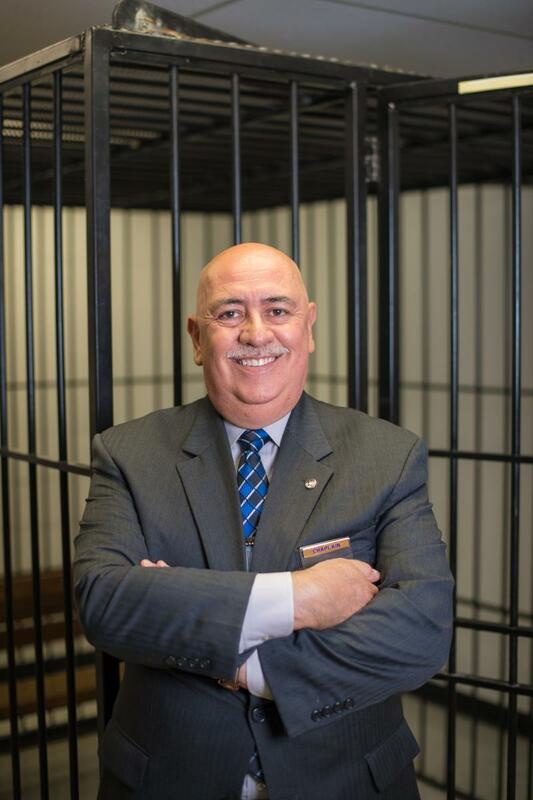 For 30 years, Claudio Consuegra has been a volunteer law enforcement chaplain. Consuegra, a member of Potomac Conference’s Beltsville (Md.) church, and the director of Family Ministries for the North American Division, has served as a chaplain in six states. Consuegra currently serves the Prince George’s County Police Department in Maryland, but his journey as a chaplain began while he was pastoring in Oklahoma. The local hospital needed volunteer chaplains, and Consuegra decided to try it. Shortly after, he learned the police department was also looking for chaplains. “I went there, and immediately I fell in love with that type of ministry, and I’ve been doing it [ever] since,” he says. Consuegra is a member of the International Conference of Police Chaplains, and has been through a great deal of specialized training to become a police chaplain. His work has led him to build meaningful relationships in many places with police officers. Riding in police cars with the officers allows him to provide a listening ear, counsel and camaraderie—a chance to serve the officers who serve him. As police officers are not trained for this duty, Chaplain Conseugra takes the lead with an officer nearby for his protection, should someone react in anger and attempt to harm the bearer of bad news. Individuals react to the death of a loved one in a number of ways, ranging from rage to hysterics, and it is Consuegra’s job to remain with them in the wake of the notification to help them process the shock. At times a family member asks Consuegra to conduct a funeral for the deceased, particularly if the family does not belong to a church. Don't Send Me to a Church! No Lord. I Have Two Kids! Editorial: What Will Our Legacy Be?